That’s deadline day over, and we’ve still got a deal in the air ahead of tomorrow’s Premier League kick off. With the window shut until January 1, here’s a quick run down of the biggest last ditch additions. It seems like deadline day it’s done yet, as the Toffees chase their fourth late signing. However, it’s now believed that Zouma’s proposed loan switch from Stamford Bridge is going to be decided upon on Friday. We’d say that’d be a nervous wait, but the deals for Mina, Gomes and Bernard should be more than enough to keep the fans happy. We wait half an hour for any transfer movement, and then two come along at once. Southampton have made a late swoop to secure Liverpool’s Danny Ings on a season long loan, as he looks to rebuild his career. Meanwhile, Fulham have left their biggest signing until right at the end, as Andre-Frank Zambo Anguissa joins Craven Cottage for a deal with around £30million, making him their fifth signing of the day. Everton may be three hours past the deadline, but they’ve announced two new signings from Barcelona, Yerry Mina and Andre Gomes. That’s three Catalan signings for the Toffees this summer, and they’re hopeful of wrapping up a move for Kurt Zouma. Another move for Fulham, who have just announced that they’ve added Timothy Fosu-Mensah on loan from Man United. The Cottagers are by far deadline day’s busiest side, and they still have more deals lined up. They’re waiting on Andre-Frank Zambo Anguissa, which would take them to five signings today alone. The Eagles have confirmed a season-long loan move for the Swansea forward, after he refused to train with the Welsh club. These two were both Fulham targets on deadline day. However, Atletico Madrid forward Vietto has moved to Craven Cottage, while Montoya has been picked up by Brighton after the Cottagers switched focus elsewhere. One of the deals we’re waiting on is edging ever closer. It looks like Palace have got their man, thanks to the most well placed of sources. Ayew’s brother Andre has shared this image, suggesting that Palace are set to make an announcement any minute. The Hornets missed out on Jake Livermoore and James Ward-Prowse today, but they’ve added West Ham youngster Domingos Quina. The highly rated Portugal player was linked with Barcelona earlier in the window, but he’s ended up at Vicarage Road. The Magpies have got a deal over the line here, with the £6million signing of Swansea man Fernandez confirmed. They’ve needed defensive additions all summer, and finally Rafa Benitez has a new signing. However, with a lack of investment, surely he can’t be happy with the lack of movement on Tyneside? We’re delighted to confirm the signing of defender Federico Fernández from @SwansOfficial! The Bluebirds were only linked with one signing today, but it’s taken them until 90 minutes after the deadline to announce Arter. However, they can be pleased with his loan signing from Bournemouth, who arrives with plenty of Premier League experience. The Irishman rejected Watford in order to secure this switch to Wales. 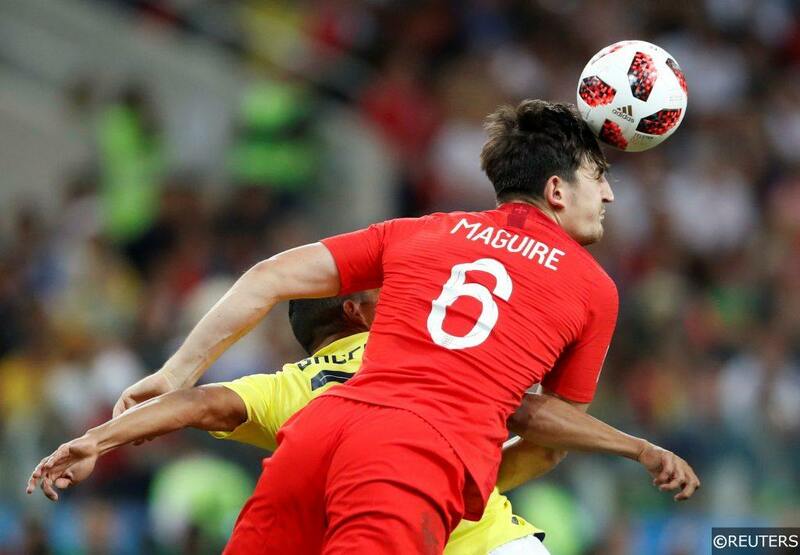 The Foxes didn’t let go of prized defender Harry Maguire, but they’ve signed their second centre-half of the day, after agreeing a deal with Freiberg for Soyuncu. The 22-year-old joins for an estimated £19million. It seems like Schalke have cooled on signing Danny Rose, given the mayhem of deadline day. They have weeks left to do a deal, so this deal has every chance of being revived. Might still be worth googling those Schalke players, Danny. It seems like 18 Premier League clubs have packed up for the day, leaving Fulham and Everton to get on with it. The Toffees have made one signing, agreed terms for a double deal from Barcelona, and now they’re racing the clock in order to secure a loan move for Kurt Zouma from Chelsea. Just as we say that, Fulham have added Joe Bryan for Bristol City, in a £6million deal. The left-back turned down Championship side Aston Villa to move to the Premier League. Fresh from confirming the signing of Sergio Rico, Fulham could make as many as four additional signings in the coming hours. As we mentioned, Andre-Frank Zambo Anguissa could join for £40million and Luciano Vietto is bound for Craven Cottage on loan. They could be joined by a pair of signings on either flank of the defence. Timothy Fosu-Mensah is set to join from Man United, while Bristol City’s Joe Bryan seems bound for Fulham, who is moving for £6million. What a summer Fulham have had already, and it’s set to get even better. Danny Ings is a potential signing for Southampton. The window may be closed, but the Liverpool forward is bound for the South-coast club, who have submitted a deal sheet to trigger that 7pm extension. With a lack of goals at St Mary’s, could this be a perfect move for both player and club? With the minutes ticking away, the Saints are out to clinch a season-long loan deal. The Cottagers remain busy, and they’ve announced the first of three potential deals today, if not more. They have added Sevilla goalkeeper Sergio Rico on a season-long loan, a player who chairman Tony Khan labelled, ‘world class’. The Cottagers have splashed the cash again, agreeing a £30million deal with Marseille for the midfielder. They are now pushing to get this deal over the line, following their loan move for Vietto earlier today. The Toffees’ staff need a pay-rise, as they’ve also agreed a deal for Andre Gomes according to Barcelona. He joins along with Yerry Mina and Bernard, so it’s been a fantastic day at Everton so far. As we said, the window is over, but deals can still sneak through. West Ham have added Carlos Sanchez on loan from Fiorentina. Huddersfield have also added Montpellier winger Isaac Mbenza on a season long loan, and there’s going to be more to come. The transfer window has officially closed, but clubs who are close to signings can get a two hour extension, so don’t expect the deals to end here. It’s been a great 10 miuntes for Everton, who have now reached an agreement to sign Yerry Mina. The Colombian will cost just over £27million, and now Everton have roughly two hours to get this deal over the line, despite just minutes remaining before the window shuts. Looks like clubs are going to stay busy right up to 7pm, as clubs can get a two hour extension by submitting a deal sheet to show that the transfer is close. We told you about the busy day in prospect at Goodison, and they’ve added Bernard in what could be the first of three of four signings today. While the Toffees had more time to get this free transfer over the line, they’ve still moved quickly to secure a play who was being chased by top European clubs this summer.  | Bernard signs a four-year contract with the Blues! We’re sick of saying that Fulham have had a great window, but they are doing even more to prove that on deadline day. They’re set to bring in Atletico Madrid’s forward Vietto, after the Europa League winners secured a deal for Nikola Kalinic. The Argentine was a highly sought after star in 2015 when at Villarreal, but after a few slow season in La Liga, Fulham are taking a chance on the striker. After spending £18million to sign him from Villarreal, Atletico are now shipping him out on loan. Here’s a glimpse at the player Atletico thought they were getting, and the one Fulham hope they are signing. Just over an hour left, and there’s movement at Everton. Reports are that Chelsea are set to offload Zouma for the season, with the Frenchman set to spend the season on loan at Goodison Park. Zouma has struggled for a starting spot since a serious injury in 2016, and he spent last season at Stoke. He’ll bolster Everton’s options at the back, but does this suggest that they’re struggling with the Yerry Mina deal? Fernandez has finally arrived on Tyneside, with just under 90 minutes to complete a medical and get the deal over the line. The two clubs have made movement in their negotiations, and they are said to be close to agreeing a fee for the transfer. Just under two hours to go on deadline day, and Cardiff are chasing a new signing. Midfielder Arter has impressed in the top flight with Bournemouth, and he’s set to take that experience to newly promoted Cardiff. He’s been a brilliant servant to the Cherries since joining from Woking, and he’d certainly beef up the Cardiff squad ahead of their Premier League campaign. Wolves have bounced back from their Zinchenko rejection, by moving to sign Belgium international Dendoncker. The highly rated Anderlecht man can play in central defence or in the middle of the park, and he joins on an initial loan, which will become a permanent deal at the end of the season. The Swans are set to see another player jump ship to the Premier League. Defender Fernandez is heading north for a medical with Newcastle United, as the Magpies aim to add to their squad. The move is believed to be a permanent one, although the Swans’ defender makes the trip without a deal being agreed between the two clubs. Swansea forward Ayew looks set to make a move back to the Premier League, as he’s currently having a medical at Crystal Palace. The Swans’ top scorer last season never seemed likely to stay in the second tier, and now he’s on his way to Selhurst Park. The Hornets have been scouring the market for a central midfielder in the last few days, and they seem to finally have their man. After attempts to sign James Ward-Prowse were turned down, they’ve now moved to secure a loan for West Brom’s Livermoore, with an option to buy him down the line. Wolves’ deal for the Man City man Zinchenko has fallen through at the last minute. The clubs had agreed a fee, and the versatile midfielder has been a target for the newly promoted side all summer. It seems like the 21-year-old rejected the move to stay at the Etihad. Congolese-Norwegian left back John Kitolano has travelled to England to undergo a medical ahead of completing a £1m + bonuses transfer from Odds BK to Wolverhampton Wanderers. Wolves had been chasing the 18-year old since January and now look finally set to land their man. Central midfielder Andre-Frank Zambo Anguissa is set to move from Marseille to Fulham. The Cameroon international is expected to cost between £20-25m. The 22-year will sign a 5-year deal with the Cottagers. The deal will take Fulham’s 2018 summer spend close to the £100m mark. Jose Mourinho, desperate to sign a centre back before the transfer window slams shut later today, has launched a late bid for Atletico Madrid’s formidable defender Diego Godin. The 32-year-old Uruguay captain would be a short term solution to Manchester United’s defensive problems, but with time running out to seal any deal for Harry Maguire that’s a hit they might have to take. Chelsea broke the world record fee for a goalkeeper as they brought in Athletic Bilbao’s Kepa Arrizabalaga. The Blues were backed in to a corner as Thibaut Courtois neared the exit, and they moved fast to wrap this one up after the story broke on Tuesday. The huge fee comes just weeks after Liverpool smashed the transfer record for a keeper, when they made a £67million move for Roma’s Allison. That deal obviously makes Chelsea’s move look like a big risk, they could have brought in a more experienced player for a smaller fee months ago. However, the Blues have managed to avoid the kind of issues they’ve had with Courtois this summer. After the Belgian refused to sign a new deal with 12 months left, Chelsea have handed a seven year deal to their new signing. Clearly he’s here for the long haul. Chelsea also confirmed a loan move for Mateo Kovacic, with the Croatian midfielder moving in search of first team football. The World Cup finalist has had a successful spell in the Spanish capital, but he’s set to becoming a key part of Maurizio Sarri’s plans at Stamford Bridge. The Italian may have a stocked central midfield, but he said a touch of quality was needed there, and that’s what Kovacic is set to provide this season. The Blues are delighted to bring in a quality midfield option on loan, that freed up cash to make a big move for Arrizabalaga. While they’ve diverted money to a different area of the pitch, they aren’t going to be short-changed. Kovacic joins an already well-stocked midfield, and he already looks like he’s first choice for Sarri. Thibaut Courtois has joined Real Madrid on a six-year deal, with a transfer dee of around £35million. This deal has been a long time coming, with Chelsea resigned to his departure after they failed to agree terms on a new contract. He’s been making moves around returning to the Spanish capital to be with his family, which led to him refusing to train with the club. That was enough to force through a deal, which comes at a cut-price fee. Now the Belgian faces off with three-time Champions League winner Keylor Navas for a starting spot, so he’ll need to up his level of commitment. Wolves finally landed Adama Traore from Middlesbrough, after triggering his release clause. They moved to spend £18million on the Spaniard, which is a club record fee. While he has limited Premier League experience, the 22-year-old has bags of pace and potential. He’s going to offer a lot of threat down the right for Wolves, who have made some great signings so far. However, you have to wonder what impact this has on Boro, who have sold off £43million worth of talent early in the season. A huge deadline day deal which isn’t entirely off the table is Harry Maguire’s switch to Old Trafford. The defender has been told that he’s going nowhere, but he seems to be desperate to make the switch to Manchester. England’s World Cup hero has been priced up at a mammoth £80million by Leicester. The fee would be a world record deal for a defender, just two months after he was valued at £25million by the Foxes. Categories: Blog, Football, Transfer Done Deals, Transfer News, and Transfer Rumours. Tags: la liga, Premier League, transfer news, and transfers. Team Tag: Chelsea, Everton, Leicester City, man united, real madrid, tottenham, and wolves. League: England Premier League. Sports: Football.